The phrase “impact investing” has become the lead moniker chosen to represent several purpose-driven or values-driven strategies that have evolved over the last two decades. Other names such as “sustainable investing”, “socially responsible investing or sustainable, responsible and impact (SRI)”, “corporate social responsibility (CSR)”, “environmental, social and governance (ESG)”, all seem to have been folded-up under the simple more widely accepted term impact investing. The ability to align ones wealth with their values and create a positive impact, in some form or fashion, through the deployment of their investment dollars. Regardless of what one calls it, one criticism that these responsible investment strategies face is the perception of underperformance. The idea that an investor needs to sacrifice performance returns in order to achieve the goal of investing in companies or investment vehicles that “do good” or ones that are held to a higher standard in how they operate. Not only does empirical evidence show that these strategies live up to the performance of conventional fund benchmarks, but that they have the potential to outperform them. There are a number of studies that have focused on the relationship between environmental, social and governance (ESG) factors and investment performance over several decades. One among them is a meta-study conducted in 20121. It took into account more than 100 academic studies, 56 research papers, two literature reviews and four other meta-studies. One-hundred percent of the academic studies analyzed showed that companies with higher ESG ratings have a lower cost of capital of both debt and equity. Of those companies, 89% exhibited a market-based outperformance and 85% accounting-based outperformance. 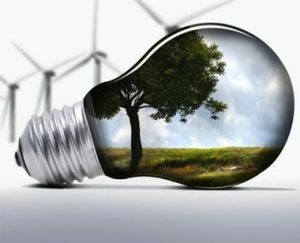 Sustainable investing strategies pay attention to a few specific areas as they incorporate ESG attributes into their selection process: Is the company a good corporate citizen (i.e., does it show a commitment to things like workplace diversity, environmentally friendly practices, and investing in the local economy)? Does it live up to the disclosure and governance guidelines set forth by shareholders? In sustainable investing, the ideal business models would have to demonstrate measurable value to both the company and its stakeholders (customers, employees, government, and communities). Stakeholders can have a direct effect on a company’s profits and progress, so how they are affected is a key component in the evaluation of a company’s ESG impact. Many different outcomes may be measured to evaluate a company’s progress with ESG: environmental performance, level of “carbon foot-print,” senior management diversity, number of women in leadership roles, history of regulatory actions against the company, board independence, capital allocation decisions, relationships with communities and customers (stakeholders, as mentioned above), product safety, labor and employee development practices, relationships with vendors, workplace safety, regulatory compliance, operations in conflict regions, and corruption. The use of these factors to enhance a portfolio with positive selection criteria should be an added layer of evaluation for all investments. Keep in mind, impact investing is not an asset class, it is a lens through which one looks when constructing an investment portfolio, and these added screens help to look for best practices, companies that just aren’t focused on the ‘bottom line’ while putting other areas of the business at risk. Finally, the sustainable investing approach is not about passing moral judgment on companies, but rather reaching for a better way to analyze and project long-term performance of their business models. Companies that incorporate ESG into their operations tend to be well positioned to outperform, as they can work more productively with their stakeholders, lower their operating costs over the long run, and facilitate better capital allocation, greater innovation, and enhanced reputations. With these goals, sustainable business models and practices are poised to generate profits over the long-term and, ultimately, higher share prices.